is NOW OPEN at 2325 Moyer Rd. 6 x 8 Chicken Coop WITH ramp to keep out the predators at night! 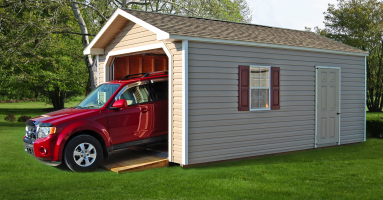 14 x 40 Dutch Garage 9'x8' TALL Door only $265.09 with credit approval! 14 x 28 Peak Garage U Qualify for less than $200 / month payments? 10 x 14 Madison Dutch Hybrid $3628 ONLY $74.59 if approved see details below! 12 x 20 HD Ganbrel Dutch Side entry LOFTED! 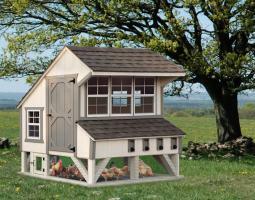 4 x 6 COOP SAVE $200 now 1385! 6 x 8 Chicken Coop CONDO! 12 Condos in 10 colors and 2 sizes! BARGAINIZED! SAVE $390 on this 8 x 12 Greenhouse! BARGAINIZED! SAVE $1300! 12 x 28 Cabin SAVE HUGE! BARGAINIZED $1575 OFF Carriage House! SHE SHED! POOL HOUSE! PLAYHOUSE! BARGANIZED! 10 x 16 Cape Cod CUT $821! LESS than $25 / week with credit approval! Eligible for 13.99% Financing 6 x 8 Chicken Coop CONDO!